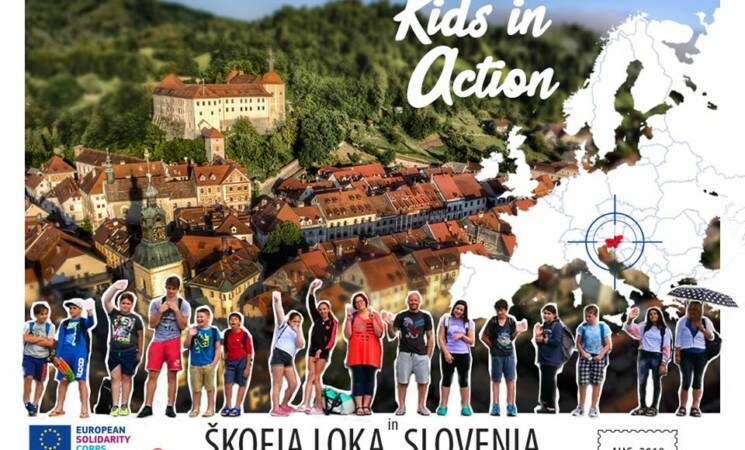 "Kids in Action 6" is the 6th of its kind and it continues the well-established tradition, which started in 2012 when Familija – Educational and therapeutic center hosted the first group of long-term volunteers involved in local daycare centers. Selected volunteers will be included in the work of each day care center as equal members of their teams and as such they will have an opportunity to show and improve their own abilities, develop their sense of initiative, gain new skills and gain new knowledge through organizing and realizing different activities (workshops, courses, individual support, sports, games, plays, presentations, lectures). At the same time, they will become familiar with the theory of preventing work with youngsters and within the social care system in Slovenia. Volunteers will also have an opportunity to realize projects within other local partner organizations in order to strengthen their involvement in the local society. The main idea of the project is to involve chosen volunteers into the work of 6 daily local care centers for children and youth that exist in Škofja Loka, Slovenia: MDC Block (Youth Day Care Center Block), PUM-O (Project Learning of Young Adults), Day Care Center DCΩ, Day Center Podlubnik, Day Care Center Skrlovce and Residential treatment institution for kids in Kranj. They all have a common target group, which is children and youth between the ages of 6 to 25 years old and their families. For more information, please read the info pack. To apply send your CV and motivational letter to evs@yeu-cyprus.org until the14th of December.